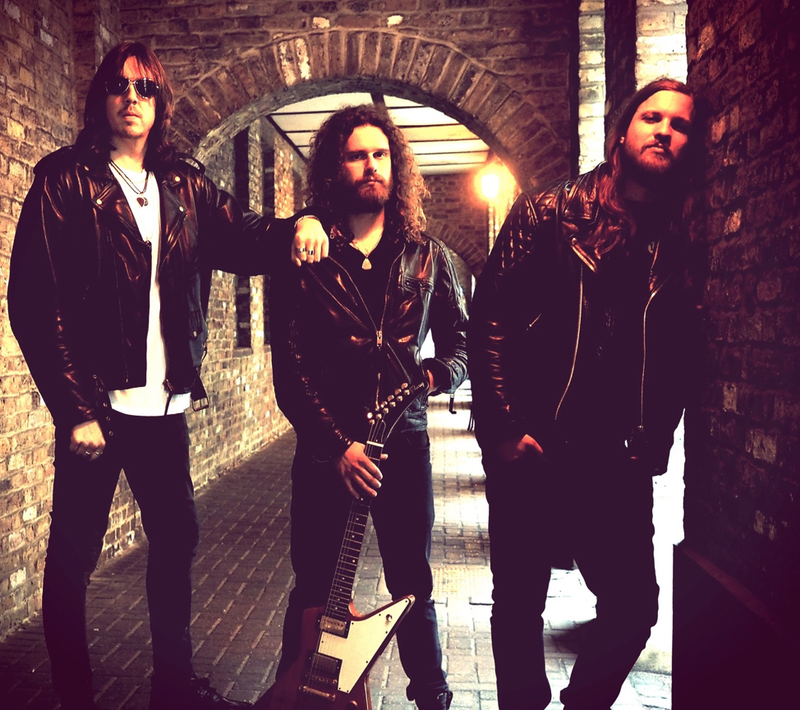 City Of Thieves Release Video For New Single "Reality Bites"
'Reality Bites' is the third single from the long awaited debut album by London based power trio City Of Thieves, entitled "Beast Reality". The album will be released on October 12th via Frontiers Music Srl. Watch the video HERE. The band on 'Reality Bites': "We're so excited to get this single out. It's one of the most unique songs on the album and was the last written for it, so much so we were actually still finishing it when we went into the studio. We had the chorus and it was so catchy we knew we couldn't leave it off, so included it on our 'A' list even though it wasn't finished!" The single also boasts a memorable video, of which they say "We have a great history of making videos with Loop TV. We had a meeting where we ended up talking about our favourite movies. We had so many films in common that we constructed a universe for the video which contained nods to some of them. We wanted to make something where the band always played the main protagonists, so we all appear as different characters in every scene and the video features four alternate worlds with varying degrees of dystopian degeneration based on various technologies. We hope people will watch it several times to catch all the Easter eggs we've hidden!" "we knew what we wanted to do and could have released a ton of material out of the gate. Toby took what we had and refined it. I'm glad we sat back and digested things with him, as it was a major turning point for the band. With Jepson at the helm, Mike Fraser on mixing duties and mastering by Simon Francis (Kodaline, Kaiser Chiefs, Primal Scream), the group's first full length record was in the best of hands. Having confirmed autumn shows in London and at Hard Rock Hell XII in Pwllheli to promote the album, City Of Thievesare also lining up a national support tour to be announced shortly. All three group members also have successful music related business interests outside of the band, with drummer Will Richards running the London Drumstick Company and bassist Ben Austwick and Lailey founding Team Beats Ltd. Lailey has also become a regular on the poker scene, playing tournaments and cash games in some of London's top casinos. His Instagram features videos and shots of casinos all over the world, from London to Manila to Macau.